It’s been over a week since Hurricane Harvey hit Texas and days since Hurricane Irma hit Florida, Puerto Rico and the Caribbean. 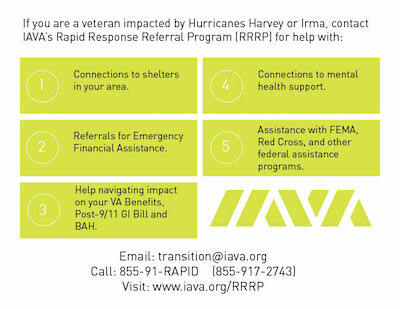 And IAVA is doing all we can to help. As an IAVA member, we want to help you stay informed, empowered and, if you’re impacted, get support you need. We are here to share critical information with you, as well as support, advocate, and send in reinforcements. ◦ VA – Click here for updates, and call the Telecare Call Center at 211 for further assistance. ◦ Disaster Assistance – residents and business owners in counties who sustained disaster related damage due to Harvey can apply for assistance by registering online. for more information on resources. 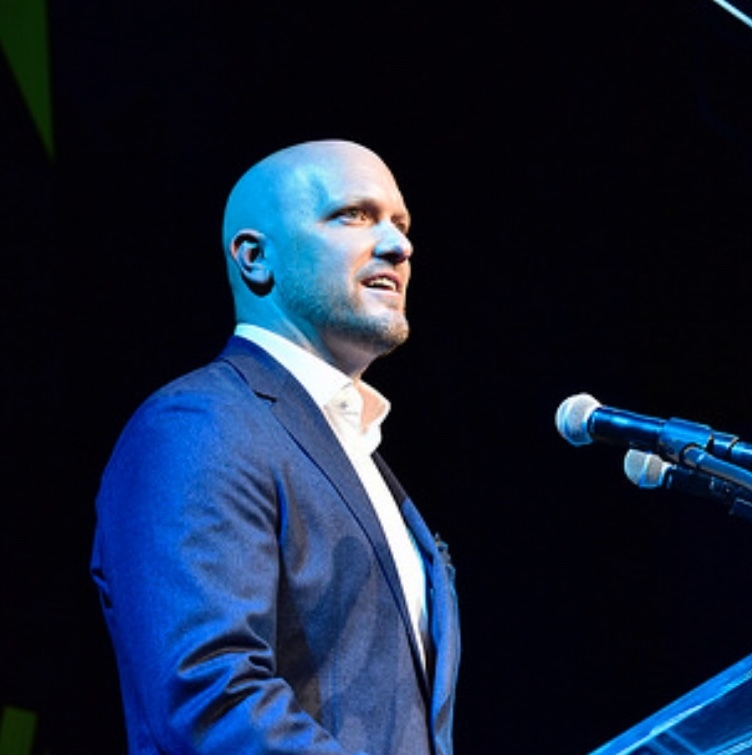 • Follow IAVA on Facebook and Twitter, where we’ll continue to ensure that veterans impacted remain in the conversation in the coming months and years. Again, America is facing a crisis. And again, America’s veterans will lead the response. We will be a source of strength, unity, experience and inspiration. When the balloon goes up for America, we’ve got your back. And times like this are what #VetsRising (and America) is really all about. Together, we will respond, rebuild and recover.